Papaya is one of the commodities to be preferred by a large market segment. This significant and promising market potential makes it desirable to become a source of income for farmers. Growing papaya is relatively easy. It grows on sandy loan with good sunlight and drainage. It has been noted that the best time to plant papaya is during the transition between the rain to the dry season. California papaya variety is gaining popularity because it is sweet and resistant to rot with thick and mealy meat. The size of the fruit is also not very big at about 0.8 to 1.5 kg in weight. 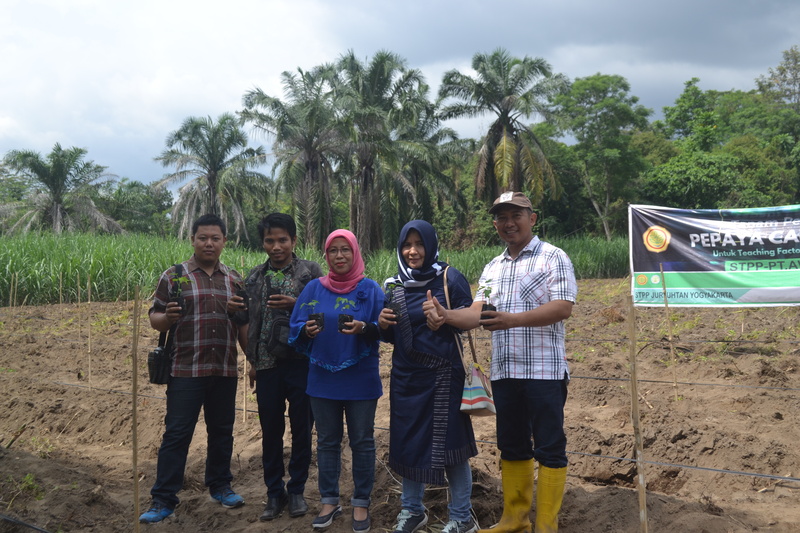 In this occasion, Indmira is collaborating with Mr. Almudi, one of the farmers growing California papaya in Sempu, Wedomartani, Yogyakarta. This plot with an area of 2 hectare is a collaborative plot with Sekolah Tinggi Penyuluh Pertanian (STPP/Agriculture Extension Academy) Yogyakarta. The irrigation system employed for this endeavor is the drip system. This method allows for more accurate and efficient application of fertilizer and water, using hoses directly placed on the planting spots and a timer to control watering periods. The key for success in papaya production is the maintenance, especially fertilizer application process. In general, the amount of yield is determined by farmers’ efforts in properly applying the fertilizer at the right time and quantity. In this collaboration, Indmira is sharing the SOP for papaya production using organic fertilizers from the company. The procedures include application every two months using SAN tanaman and SNN, in addition to composted manure. The addition of the fermented organic fertilizers can speed up the growth of the plants.